After our stroll through the Higashiyama district we visit Kodaiji, which is a temple that was established in 1605 in memory of Toyotomi Hideyoshi, one of Japan’s greatest historical figures, by Hideyoshi’s wife Nene, who is also enshrined at the temple. Kodaiji is a Buddhism temple. 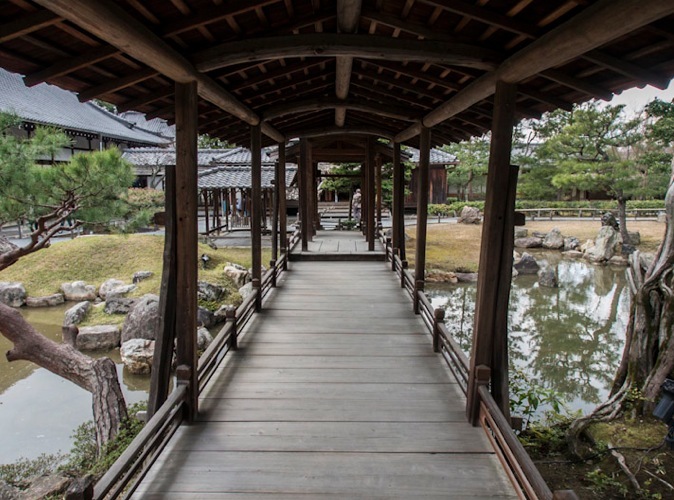 Its main buildings were constructed in the lavish style of the era of Japan’s unification with the financial support of Hideyoshi’s successor Tokugawa Ieyasu. The main hall was originally covered in lacquer and gold, but was rebuilt in a more modest style after it burned down in 1912. The building is surrounded on two sides by impressive gardens designed by leading contemporary masters. 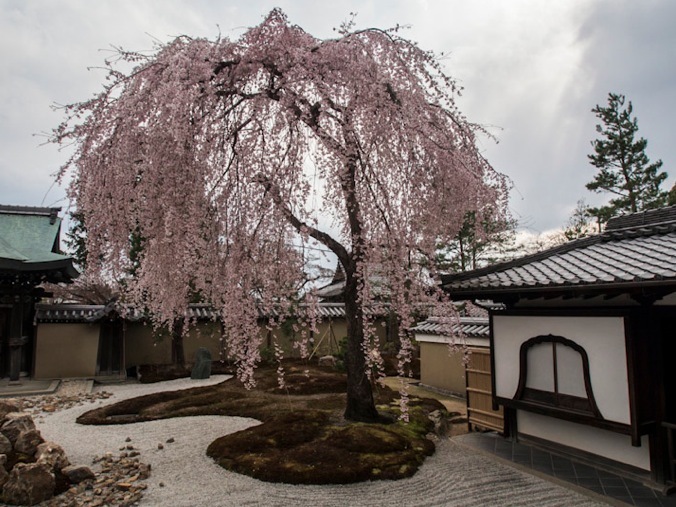 One of the gardens is a rock garden consisting of a large field of raked gravel meant to represent the vast ocean. The other garden features a pond, man made hills, decorative rocks and beautiful pine and maple trees. 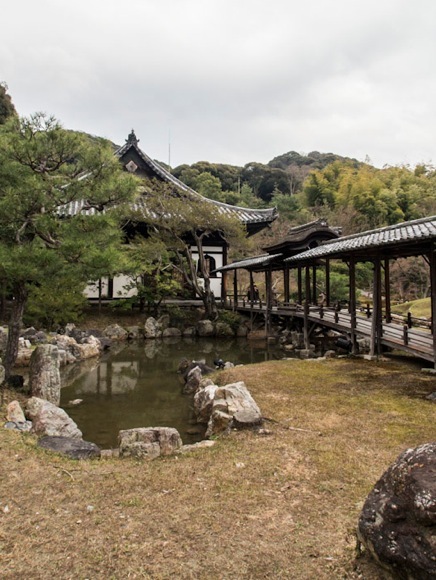 Within this garden stands the memorial hall where Nene would pray for Hideyoshi and which now enshrines wooden images of both of them. There is also a moon viewing pavillon to allow the viewing of the moon’s reflection on the surface of the pond. Up on the hillside behind the temple lies a mausoleum for Hideyoshi and Nene. The interior is richly decorated with special lacquerwork that features designs of powdered gold and silver set in lacquer, a technique that Kodaiji is famous for. 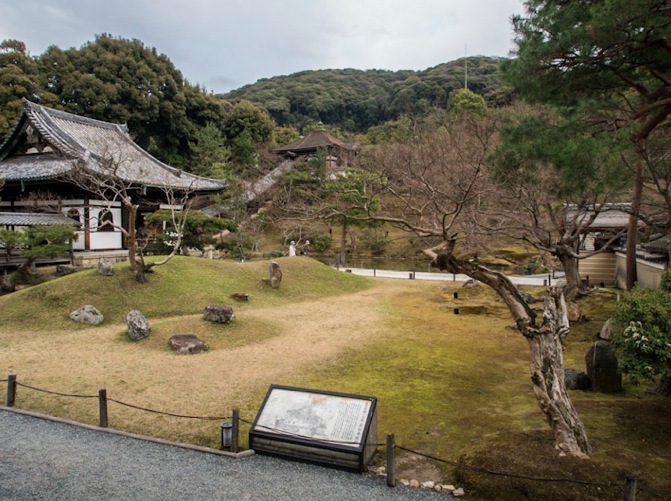 Further up the hill are two tea houses, one of which was designed by the tea master Sen no Rikyu, as Hideyoshi was a fervent tea ceremony practitioner. 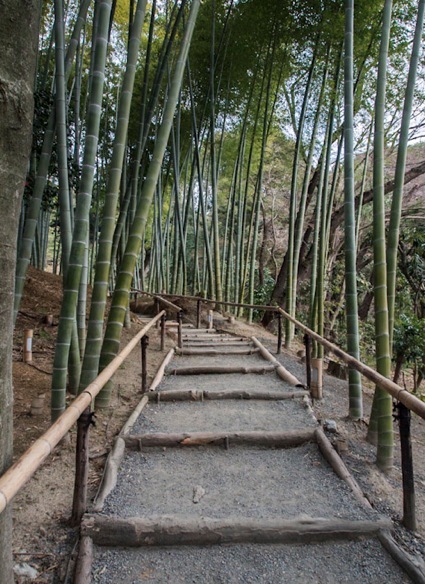 The return path to the temple buildings passes through a bamboo grove.